Welcome to Your Dream Home...This Stunning Home has everything you've been looking for. 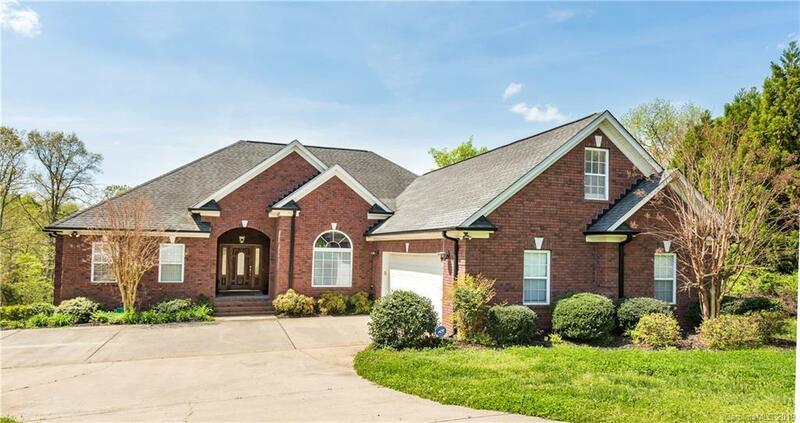 Chef's Dream Kitchen w/Granite Counters, Wall Oven, Gas Stove top, Kitchen Island, abundance of Cabinets, Large Pantry & Stunning Breakfast Bar large enough for up to 8 Stools. Stunning Family Room w/Fireplace, Vaulted Ceiling, Wood floors & Stunning view of the Backyard Oasis. Elegant Dining Room w/Vaulted Ceiling. Main Floor Office w/French Doors. Stunning Master Suite on the Main Floor w/Tray Ceiling, & relaxing views of the Backyard. Master Bathroom w/Enormous Garden Tub, Large Separate Shower, & 2 Large Closets. 2 More Large Bedrooms on the Main Floor with Full Bathroom. Huge Laundry Room w/Custom Cabinets. Enormous Bonus Room on the 2nd Floor. Basement w/Bonus Room/Family Room, 2 Bedrooms, Full Bathroom, Half Bathroom & Theater Room w/Full Bar. Bonus Room leads out onto the Extended Patio w/Stairs Leading to the Stunning Deck & Covered Back Deck. Basement Could be 2nd Living Quarters.